Get the Name and Address by Selecting the Button to the Left "Get Name/Address." 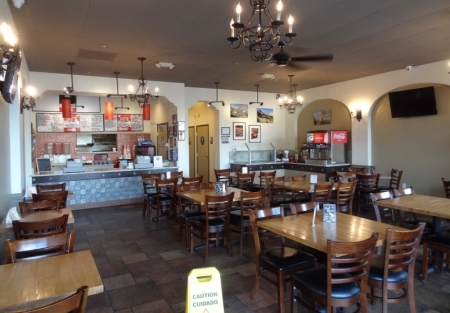 Great Family opportunity with this Local, Neighborhood Mexican Restaurant for sale. Owner wants to retire and has had years of prior experience as an Executive Chef at some major restaurants. Now it is your turn to take this concept to the next level. Favorites include Jalapeno Fettuccine. Cilantro Chicken Breast and a huge crowd for Taco Tuesday. Beer and Wine 41 license included and you get all the recipes for this fast casual concept. Located within 2 miles is a new Loma Linda Medical Center that is now fully operating. Within 1 mile is a New Kaiser Hospital that is being built with completion set for Fall 2017. This is a great opportunity for catering and to attract a solid lunch crowd. Catering is an area the current owner has not explored, but a savvy buyer will know that hospital personnel with all their meetings need catering. Loma Linda Hospital is a golden opportunity because it is very close and there is very little competition in this town. Do yourself a favor and take a look at this restaurant and look at the area to see opportunity. This restaurant seats 43 and tables outside on the front patio will attract even more customers. Everything is owner-nothing leased. Grease interceptors in place and a huge 15 ft hood is ready to help you make money. Good financials will make this a quick sale and owner is serious about moving on. This is priced right and it presents an opportunity for the right buyer. Perfect absentee owner gig.